Teaming up with supercar makers on limited edition smartphones has become a bit of a trend in the tech world lately. Taking a page from Huawei’s Porsche Design book, OnePlus has struck a deal with McLaren to work on a “mysterious” project, the Chinese smartphone maker revealed last month. Days later, rumors began doing the rounds, suggesting that the phone will have a whopping 10GB of RAM, which would mark a new milestone for the company. Now, Amazon India has pretty much confirmed the OnePlus 6T McLaren Edition by prominently featuring the banner shown above on its OnePlus 6T product page. If it is anything to go by, OnePlus’s special collaboration with McLaren is likely in celebration of its 5th anniversary in the smartphone business. Under the ‘Salute to Speed’ slogan, we can see the top half of a phone that looks just like the OnePlus 6T, which comes as no surprise. The McLaren edition is expected to boast 10GB of RAM and maybe a flashier design on the back, but other than that, it’s going to be very similar to the 6T. Amazon’s banner says ‘Coming Soon’, which is in line with what we know so far. 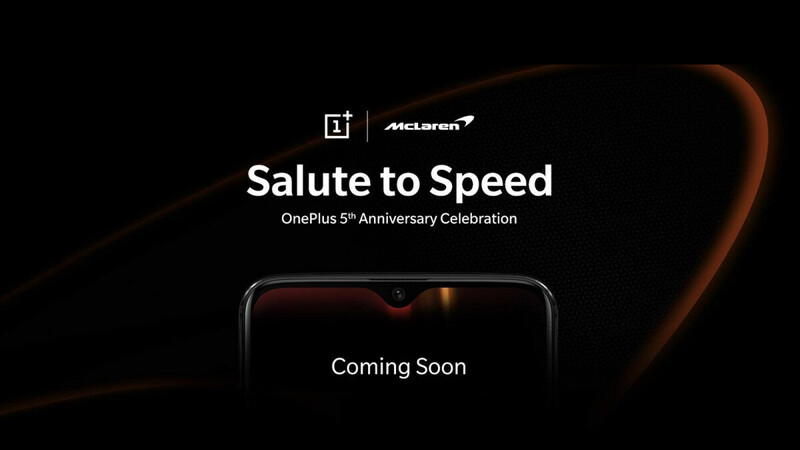 OnePlus 6T McLaren edition is expected to go on sale in the UK on December 11 and hit store shelves in India the following day. There’s currently no information whether the phone will be making it to the US.